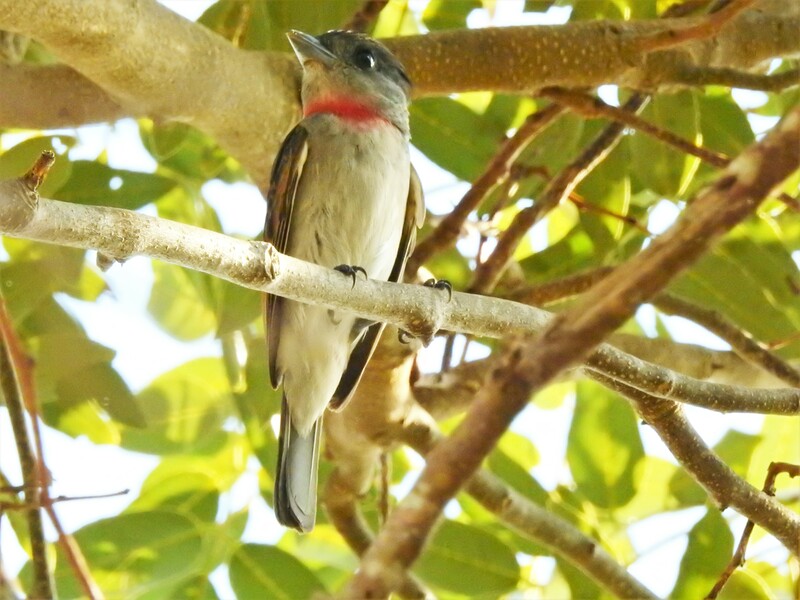 Rose-throated Becard (Male) in Costa Maya, Mexico. 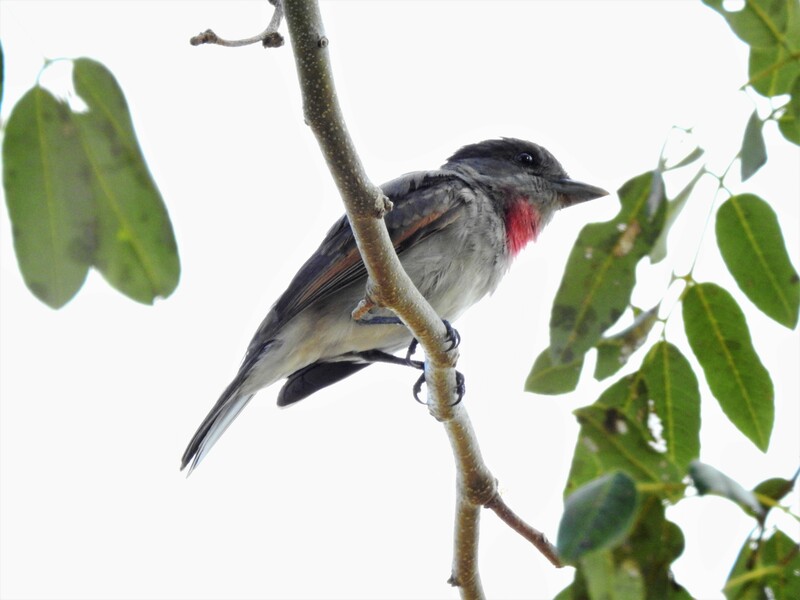 The Rose-throated Becard (Pachyramphus aglaiae) is a medium-sized member of the family Tityridae. Its genus, Pachyramphus, has traditionally been placed in Cotingidae or Tyrannidae, but evidence strongly suggests it is better placed in Tityridae. 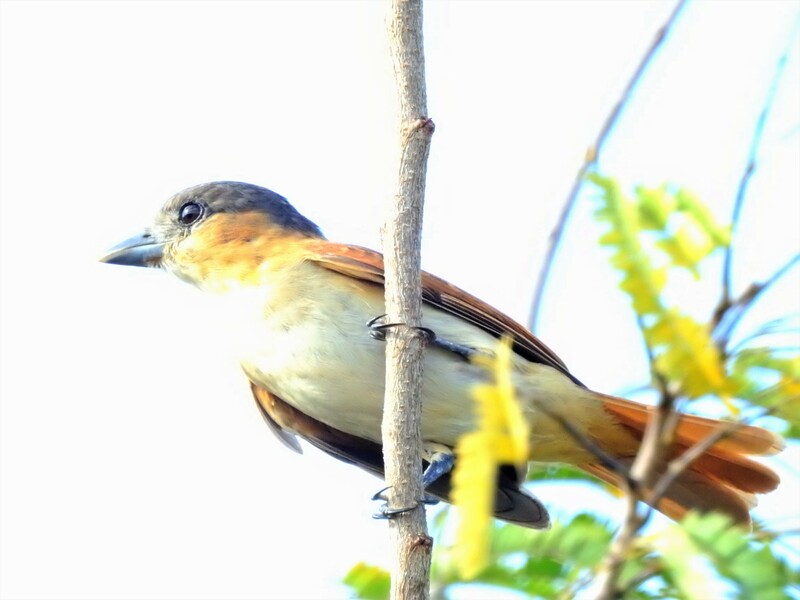 Rose-throated Becard (Female) in Costa Maya, Mexico. 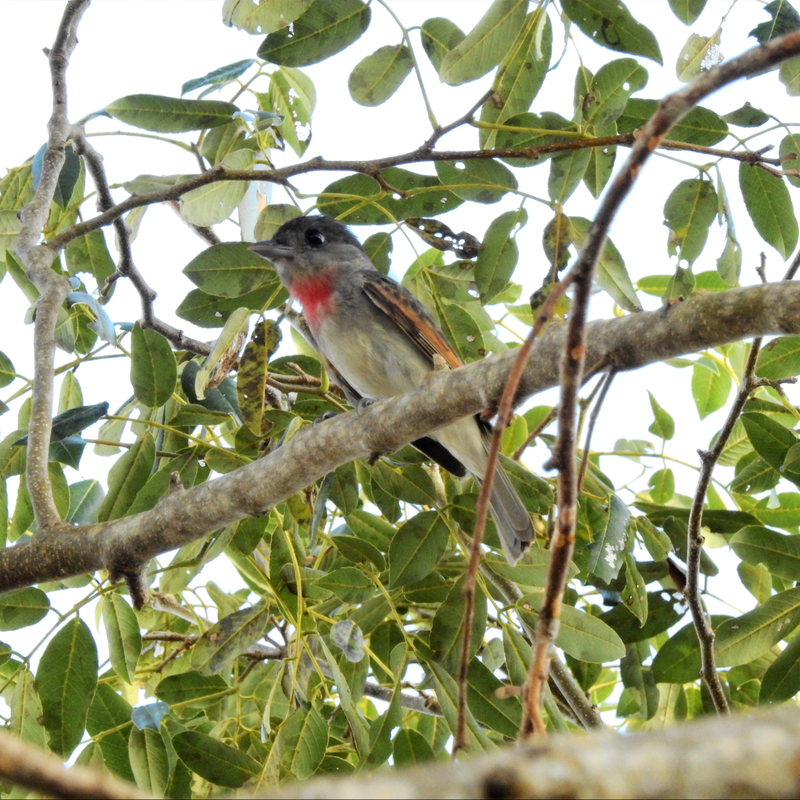 Rose-throated Becards usually occur in riparian areas of pine-oak woodlands and evergreen forest. They breed from south-easternmost Arizona and extreme southern Texas of the United States to western Panama. Breeding is local and sporadic in the USA and becomes more regular in Mexico. Birds are normally permanent residents, but any birds found in the US do retreat for the winter. 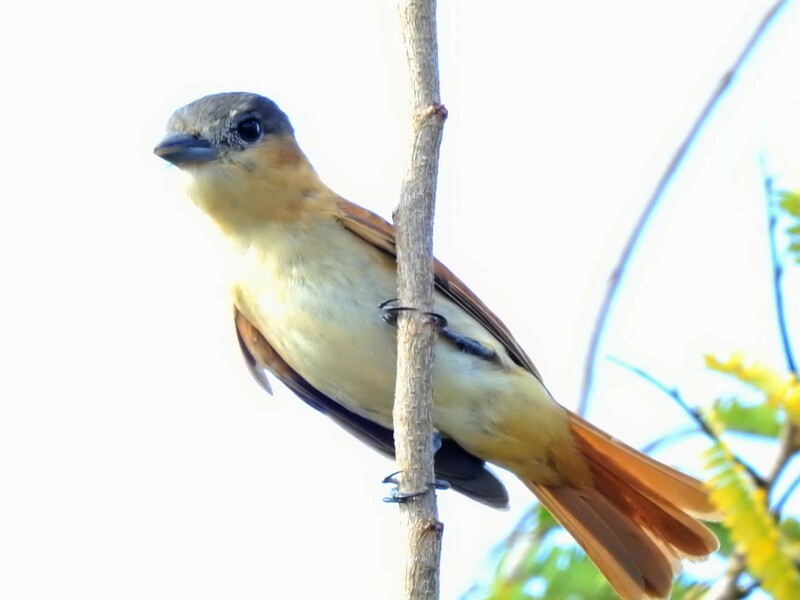 A group of flycatchers has many collective nouns, including an “outfield,” “swatting,” “zapper,” and “zipper” of flycatchers. This entry was posted in Birding. Tagged Birding, Birds, Costa Maya, Wildlife.